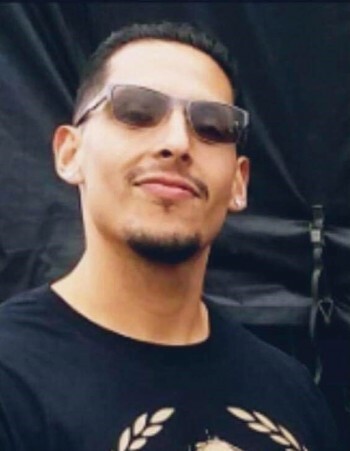 Adam Ramirez, age 28, of Litchfield, MN died unexpectedly on Sunday November 18th 2018 at the St. Cloud Hospital. A Memorial Service will be held at 2:00 PM on Tuesday November 27, 2018 at the Church of St. Philip in Litchfield, MN. Visitation will be held one hour prior to the service at church. Adam Ramirez was born March 16th 1990 in El Paso Texas. At the age of 3 Adam moved to Litchfield Minnesota which was where he grew up. Adam was the youngest of six siblings. To Adam family was always the most important. He was blessed to have three beautiful children with his best friend. He was a proud father of one son and two daughters. When it came to helping those around him, Adam was always there to share his Insight. Adam was a natural born leader, which led him to make some choices which left him with unfavorable outcomes. But no matter what, he stood proud, walked with integrity, and preserved through any situation so he could come back home to what he loved and cherished the most; his family. Adam enjoyed quality time laughing and making memories with family and friends. He played paintball, loved to work on his vehicles, and of course watching his Cowboys win. Adam found his love for welding. He took pride in his work and his helmet. Most recently Adam worked for Jennie O as a grower at the Wilcox Farm. Adam left us unexpectedly on November 18th 2018. His loving, caring nature will be missed by many. He leaves behind his grandma Epi, parents, Henry and Irene Ramirez, brothers, Henry, Andrew, Adrian, sisters, Roxanne, Vanessa, fiancee, Irene Lopez, children, Ismael, Yzela, Annaleya, and many nieces, nephews, and friends. Even in death Adam continues to give. He gave parts of him, to help another, by the donation of organs. Adam was a proud father, loving partner, and loyal friend. The memories made with him will forever be cherished, and he will be missed by many. Today Adam’s spirit is truly free.